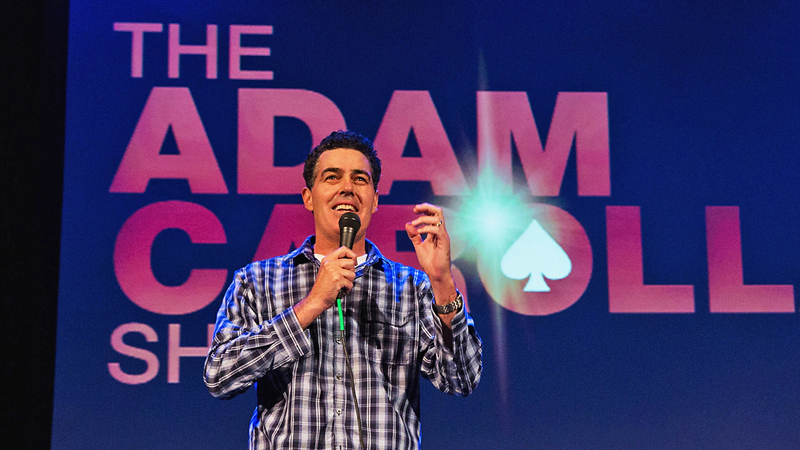 Adam Carolla is never at a loss for words about anything. Which makes Carolla a great guest for Questions with Comedians. You know him from his record-setting podcast, "The Man Show," his best-selling books, his new SpikeTV show "To Catch a Contractor," and a ton of other things (including booze). 1. What’s your best sports memory? Carolla: I didn’t go to any sporting events (as a kid) that I didn’t participate in. My greatest memory is when I played in a Pop Warner football bowl game when I was probably 11 and at the end of the game they lined up both teams at 50 and they had each team pick the best offensive and defensive player from the other team. Their team picked me as the best defensive player, which always meant a lot to me because there is nothing more pure than guys from the other team picking the best player from your team. It was like the opposite of participation trophy. And it was just a crappy cup but I loved it. Later on, I used it as a kicking tee and broke it but it meant a lot to me. 2. Who is the most annoying person in sports and why? Carolla: Any MLB player that does that move where they put pine tar all over their helmet so you can’t see the logo. 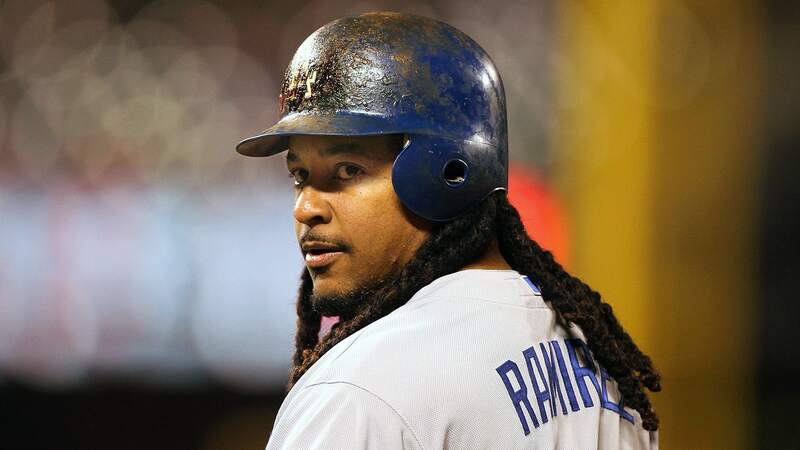 Manny Ramirez used to be one of the guys. Well, the first most-annoying guy is the guy who puts it all over the logo so you don’t know who they play for. You’re sitting there wondering Is this guy playing for the Angels or what? The second most annoying guy is the asswipe who tells you what pine tar does and goes on about how it helps with the grip – yea, I know that you dumb s—. I just don’t know why they put it on their helmet. Also, you still smell pine tar on your hands days after touching it. How much pine tar do you really need? Why put it all over your helmet? Is this even legal? Would this work in pro football? What if Peyton Manning said he didn’t like the Broncos’ insignia on the side of his helmet so he’s just going to put pine tar all of over it? That bull—- wouldn’t fly in the NFL. They wouldn’t let you do that. Also in baseball half the guys are wearing stirrups above the knee and the other guys have pants dragging behind them. Do we have rules? It’s called a uniform. Get your uniform together! What’s up, baseball? Get your crap together! 3. Who’s the sexiest professional athlete (male or female) out there today? Carolla: Vernon Davis. He’s a huge man but has crazy wheels. Him or Tony Gonzalez. I’m not gay, but come on. Everyone is a little gay for Tony Gonzalez. You ever see him spiking that ball over goal post? Beautiful. 4. You’re on death row. You get one last meal. What’s the meal? 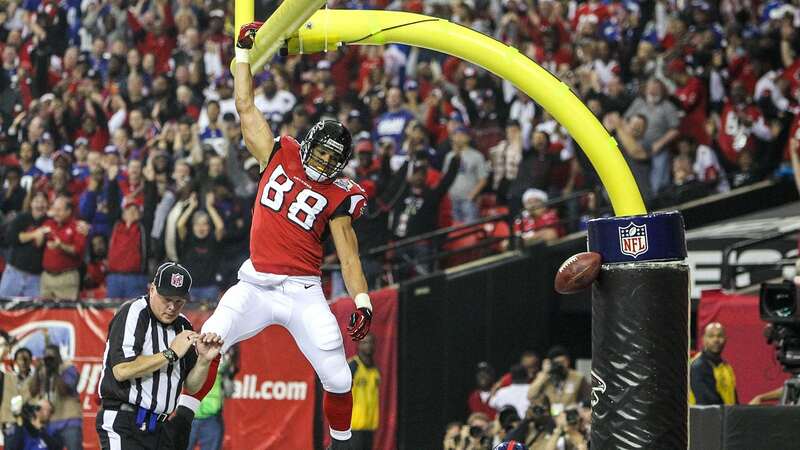 Carolla: Tony Gonzalez, I’m sticking with it. 5. You used to be a co-host of "Loveline." What’s the best piece of relationship advice you can give? Carolla: I would say don’t think like you think, try to think like she does. Once you’re living together you have to have two Tivos and as much square footage as possible. You must own two TVs and two different Tivos or otherwise you won’t stop bickering about it. 6. Which band would you like to see play halftime of the Super Bowl? Carolla: I would like to see BTO (Bachman Turner Overdrive). I could go for some "Taking Care of Business," and "You Ain’t Seen Nothing Yet." Plus they’re Canadian, so they know football. They’re not some English band that football means something totally different for them. People reading this right now are probably laughing (at this selection) but they won’t be laughing when they hear the hits. 7. What is Adam Carolla afraid of? Carolla: Norm Macdonald trying to drive a car. I don’t like unattractive insects like cockroaches and silver fish. Taxes are something that scare me. Other than that I don’t have traditional fears. I just have slightly more bizarre fears like running out of alcohol on Super Bowl Sunday. Not being able to nap. First-world fears, I call them. 8. Who is your least favorite athlete and why? Carolla: Pete Murphy, the Dodgers’ bullpen catcher. It’s a personal beef and that’s as much as I want to say. He’s not a household name but it’s a personal beef. 9. Who are three people in history (dead or alive) that you’d like to watch a game with? Carolla: One of the founding fathers so I could explain why the Patriots’ defense is made up of all black people. They’d find that weird and probably think, ‘but they’re the New England Patriots! How can they be black?’ I know there would be a lot of explaining to do, a lot has changed since their days. It would be fun to explain all of that to them. Also Abe Gibron (the old Chicago Bears coach). After that I think you have to dress the place up a bit so I’d pick Grace Kelly. She’s beautiful.